Did you know an individual of any age can suffer a Cardiac Arrest? A Cardiac Arrest can be thought of as an electrical issue with the heart that triggers it to alter from a normal rhythm and not pump efficiently. In 2016, 1900 people in the Perth Metro area alone, suffered a Cardiac Arrest. The best survival rates depend on the Early Recognition & Calling For Help, Early CPR, Early Defibrillation and Post Resuscitation Care, this is known as the chain of survival. 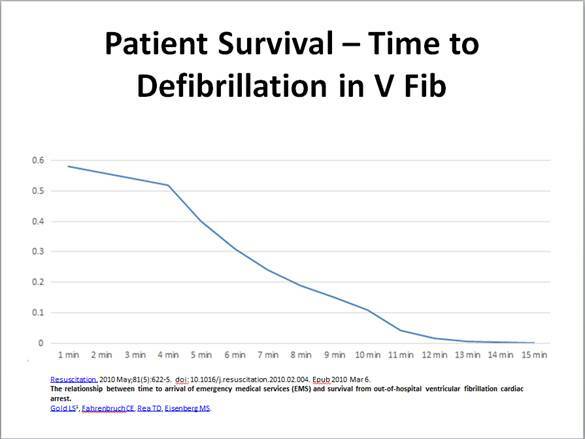 During a Cardiac Arrest, a patient being defibrillated within the first 4 minutes gives them the most chances of surviving. After which, their chances dramatically decrease per passing minute. The Honeywood Residents Group are holding a fundraising quiz night to raise funds for a Defib that will be accessible to the entire community in the unfortunate event of a cardiac arrest. The Defib will be registered with the St John First Responder program that will allow the Triple Zero operator to direct the caller to the Defib location. To find out more about the event, visit our events page or the Halloween Quiz Night Facebook Event. Together we can try to prevent loss of life and give someone that has an arrest a fighting chance!